I’m Louise Ward, Director of LAW Legal Practice and a collaboratively-trained family lawyer with extensive experience helping people in situations similar to yours. 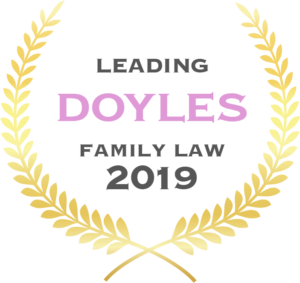 I started LAW Legal Practice when I had young children and a blended family with happy, healthy kids, loved in both households. My personal experience made me more convinced that thrashing out family disputes in court was only of benefit when there was absolutely no other alternative. I was admitted as a solicitor in 2005 and have dedicated my entire legal career to family law. I know all the ins and outs of the legislation and court processes – but it’s the big picture I help you focus on. I’m a calm and process-driven lawyer who will work with you directly and empower you to make informed decisions. I’ll help you attempt to reach your own agreements wherever possible and provide smart and sensible advice when agreement outside of court isn’t possible. Most people are a little anxious about consulting a family lawyer. That’s why I try to make our initial chat as relaxed and stress-free as possible for you. So, it’s my shout – I’ll buy the coffee and give you half an hour of my time and experience. We can meet at my office or somewhere local. If things are too hectic for a coffee meeting, I’m also happy to arrange a video conference via Skype or Zoom.